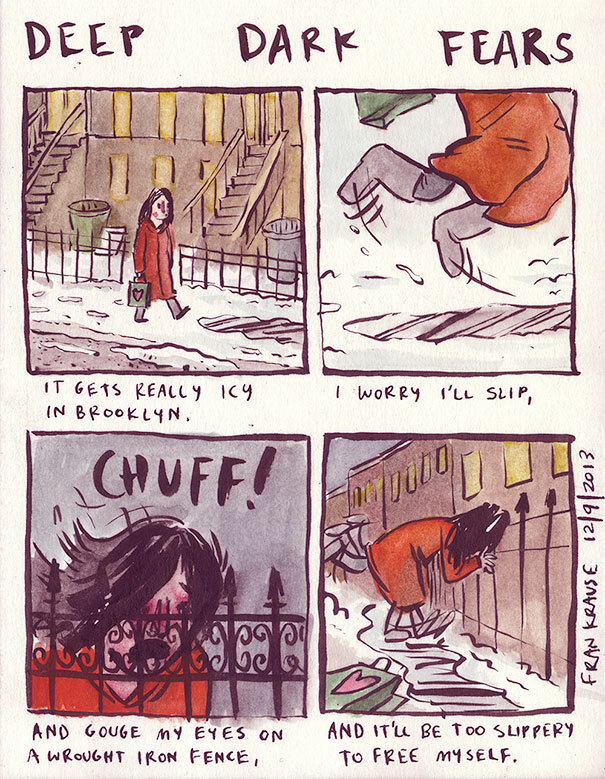 Illustrator Fran Krause asked people to write in and tell him their deepest darkest fears, no matter how irrational, no matter how strange, no matter how twisted. Some fears can be traced to early childhood memories, some as a result of trauma or a triggering experience, some seeming to appear out of thin air. What's interesting about human society is certain fears, even those that seem the most insane or unlikely, can be and probably are shared by a handful or even hundreds or thousands of others out there in the world. We are not alone in our fears, but does that make them any less scary? Does taking the terrifying image in your mind, translating it to words, and then translating them back into cutesy innocuous cartoons make them any less terrifying? 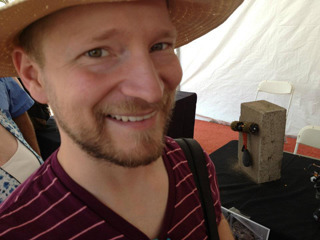 Krause is a member of the faculty in the Character Animation Program of CalArts. 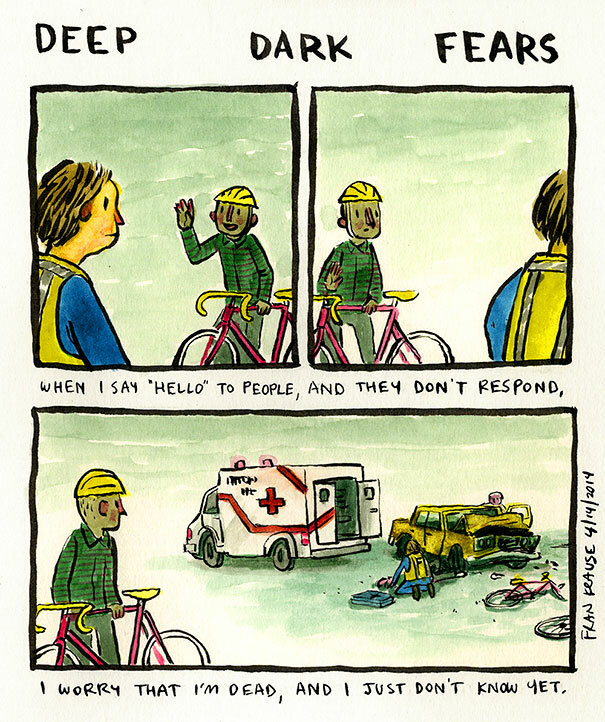 His tumblr is here: http://frankrause.tumblr.com/, each post receiving multiple thousands of notes. 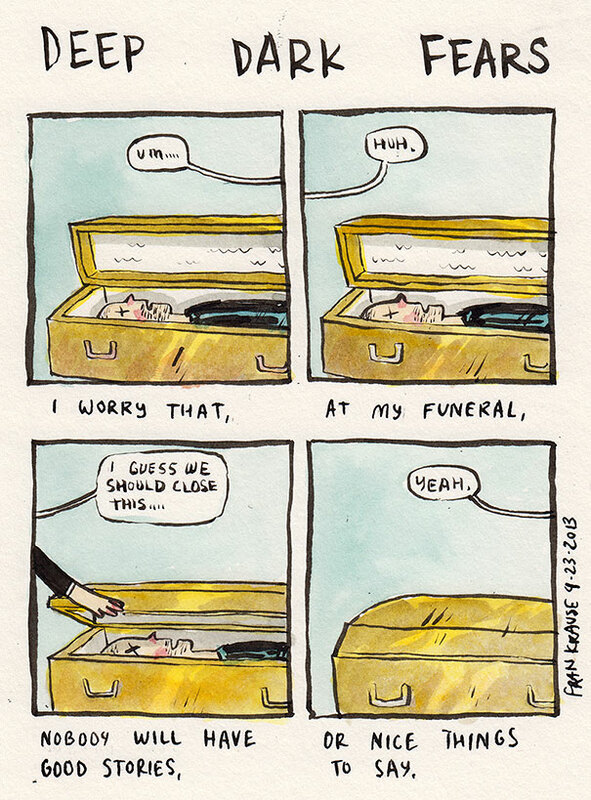 I have linked below five of my favorite cartoons, the ones I find most creepy and unsettling, perhaps even hitting a little too close to home. 1) My two irrational fears involving being out and about are walking over the grates on sidewalks, fearing they will buckle under my weight and I'll go plummeting into the sewers below and/or being on the second or third floor of the mall and having someone bump into me, push me, or just have something generally go wrong and I go flying over the railing, smacking into the hard floor below. 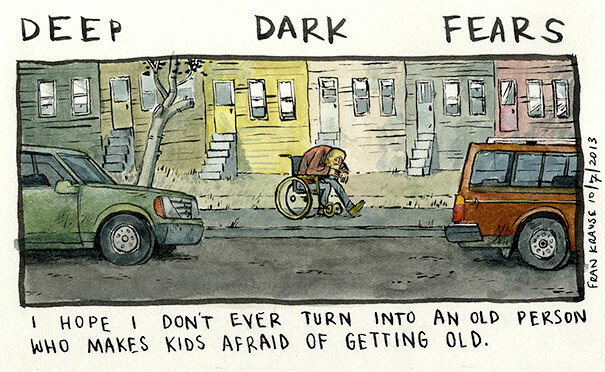 3) Growing old is something we all hope for, but something I'm sure most of us also fear and dread a little bit. There's an old cliche, would you rather die old and gray or young and beautiful? Can you imagine the pain that must be felt to know you have lived 70 or 80 years of life, you have seen more than most, have wisdom to share for days, stories that would uplift a room, and yet no one will pay you the time of day because you're just 'old', 'wrinkly', or 'senile'? Perhaps this is a reiteration to respect your elders. They know far more than you ever will and they are valuable. 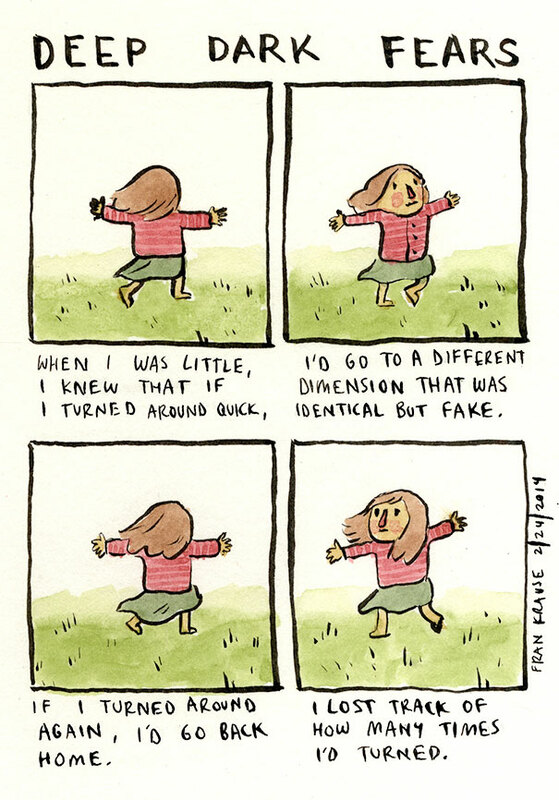 4) An active imagination is a true gift that many will embrace as a child and slowly start to lose over time. However, what if your imagination as a child was more of a detriment than an advantage? What if childhood games and stories spilled over into adult anxieties and compulsions? What if alternate universes are possible and perhaps, just perhaps, the mind of a child was able to unlock them and the mind of an adult made it impossible to 'go back'? 5) Depressing and maybe unlikely, but what if you outlive all of your closest family members and friends? What if at your funeral, your grandchildren and great-grandchildren and great-great-grandchildren all attend but didn't really know you well, have no fun memories or stories to share? What if they can only say things like, "Well, he/she gave us money at Christmas" or "Well, he/she always kept their house nice and tidy." This could serve as a lesson to let people in more, treat others with more kindness, share a laugh with friends and family. Make your life one to remember.